I was lying on my back that night. I chose the spot with the stones instead of the grassy lawn. There I lay for some time after pushing the shutter of my camera. I let my eyes enjoying the dark, what I think the next level of my attraction to the so-called-skyporn and what Mother said as one of my childhood pleasure, the astronomy itself. Darkness always be my first fear asides with the loss of my love ones. March 21st 2015 was my first seclusion day experience in Bali. The Balinese Hindu seclusion day, called as the Nyepi Day, was always be my recitation at school on my younger ages until this year’s Nyepi. It was not the whole day without light during the day, nor the abstaining of traveling outside home, nor the abstaining of enjoyable activities along the day became my worry. I have been thinking it was the absence of light at the night of Nyepi. Fortunately, I was (finally) staying at a villa in Nusa Dua area, Bali. I can spend the Nyepi day with light, strolling around to the beach even restricted only around the villas and hotels. 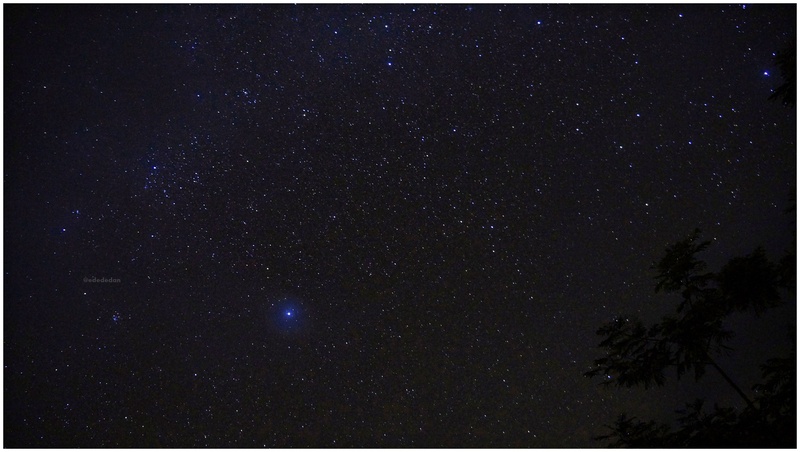 I was very lucky as I, like other people in Nusa Dua, got the clearer sky than in Kuta area. And maybe. Maybe, I am lucky I met you a week before the silent day. As your interest on the stars and the constellations, it push myself to get some photos of the sky that night without any light, more than just a stargazing. So here they are, the guest stars of my first Nyepi experience in Bali. I captured them not as the perfect pictures, but it is still enjoyable. 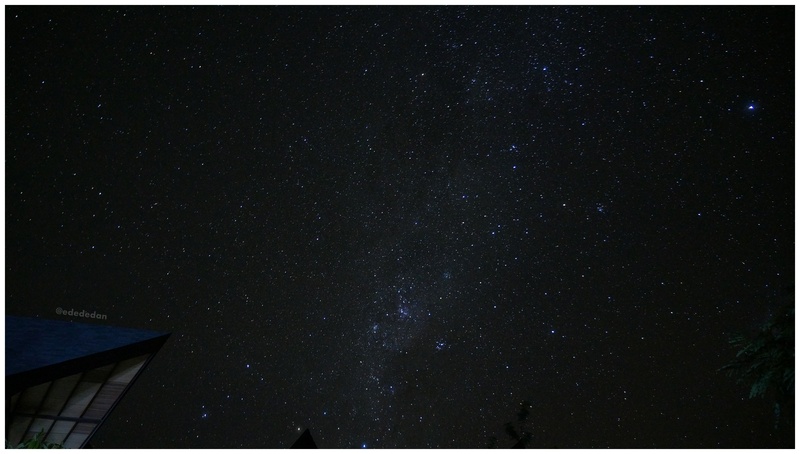 They are the shades of Milky Way, the glow of Jupiter stealing the light from other stars and the constellations I saw: Orion, Taurus, Gemini, Crux, Centaurus, Carina, Canopus, Lupus, Vela, Eridanus, Auriga, Capela, Pupis, Canis and others. I was staying at the Grand Nikko Bali in Nusa Dua. 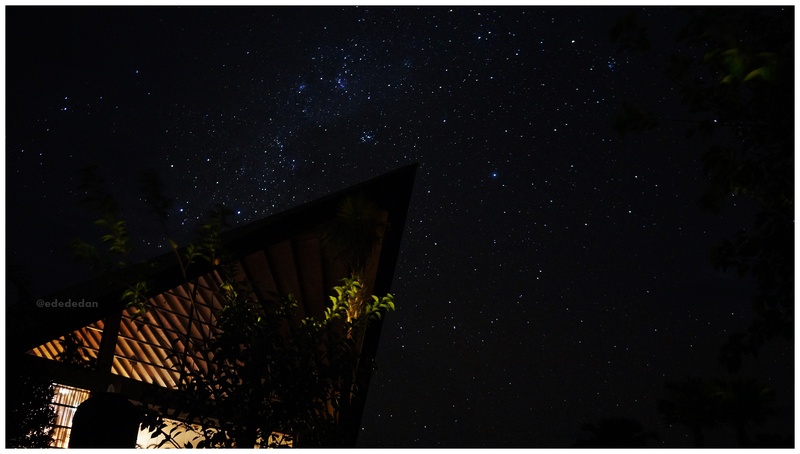 The hotel is one of the greatest places to do stargazing in Bali. Thank you for the great experience! 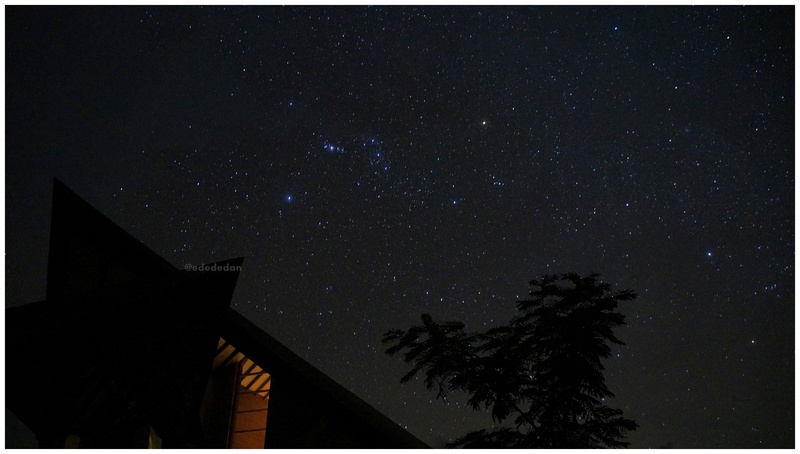 This entry was posted on March 27, 2015 by Edna Tarigan in Bali, Nature and tagged astrophotography, Bali, Balinese Nyepi, Balinese seclusion day, Photography, stargazing.